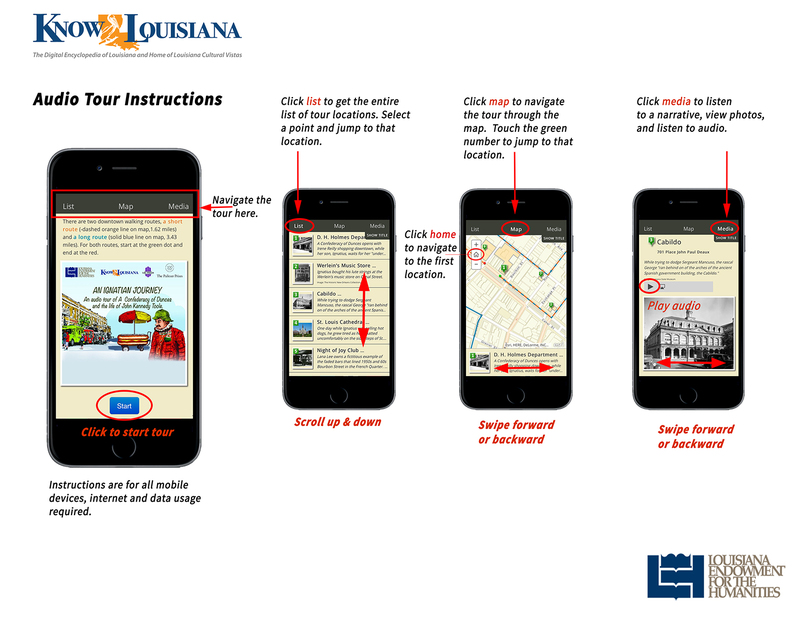 An Ignatian Journey is a walking audio tour and story map using GIS technology for mobile devices to trace the adventures of the novel's quixotic protagonist, Ignatius Reilly and author John Kennedy Toole’s life in New Orleans. The Louisiana Endowment for the Humanities presents the unique geography and sounds of A Confederacy of Dunces in a new digital experience. 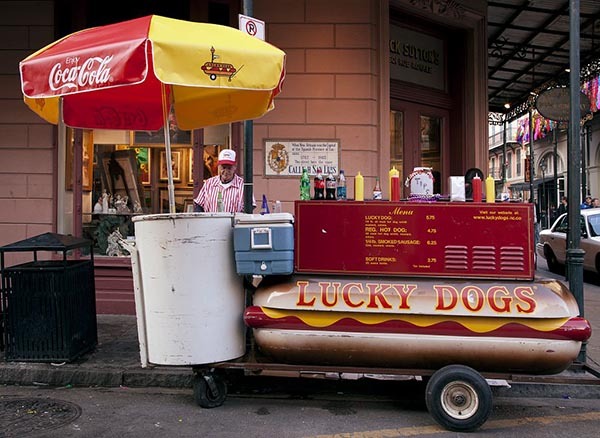 An Ignatian Journey is a walking audio tour and story map using GIS technology for mobile devices to trace the adventures of the novel’s quixotic protagonist, Ignatius Reilly and author John Kennedy Toole’s life in New Orleans. 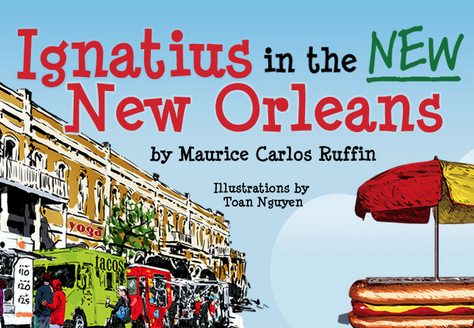 Experience the city through the eyes of Ignatius and his creator through historical and contemporary photographs, interpretive text by LSU scholar Cynthia Nobles, and narration by New Orleans native Chris Champagne. Choose our Walking Audio Tour for a self-guided tour, or the Interactive Story Map for more photos and text. Text by Cynthia LeJeune Nobles. 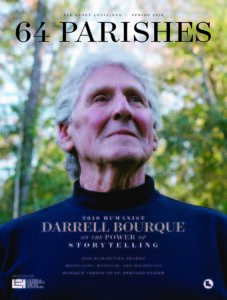 Nobles is editor of “The Southern Table” series of cookbooks for LSU Press. She’s also the author of A Confederacy of Dunces Cookbook and The Delta Queen Cookbook. She was a coauthor of Newcomb College’s scholarly book New Orleans Cuisine, and is coauthor of LSU Press’s forthcoming Fonville Winans Cookbook (2017). Nobles is a former food columnist for The Advocate newspaper. She graduated from the University of New Orleans with a degree in American History. The Confederacy of Dunces self guided tours were made possible by the 2016 Pulitzer Prize Centennial Campfires Initiative, a program to commemorate the 100th anniversary of the Prizes in 2016. Announced by the Pulitzer Prize Board, the Campfires Initiative aims to ignite broad engagement with the journalistic, literary, and artistic values the Prizes represent. The board partnered with the Federation of State Humanities Councils on the initiative and awarded more than $1.5 million to forty-six state humanities councils. The Louisiana Endowment for the Humanities received $34,000 to support articles in Louisiana Cultural Vistas and public programs around the state about Pulitzer winners with ties to Louisiana. 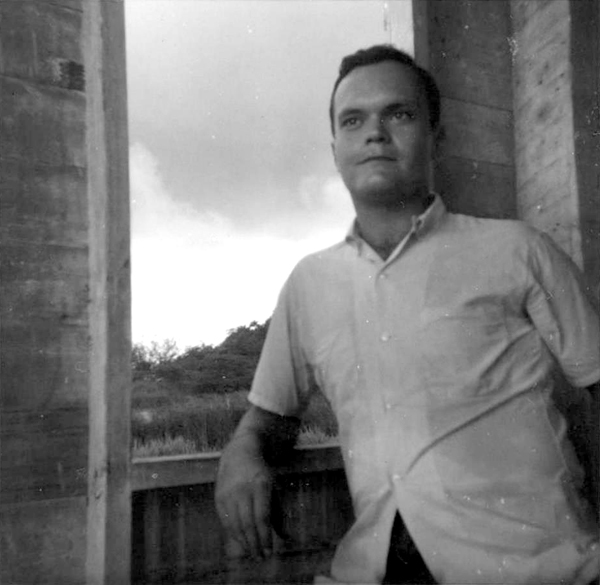 “An Ignatian Journey,” digital story map and audio tour of A Confederacy Dunces and the life of John Kennedy Toole, has been produced in partnership with LSU Press.